The alloy is reportedly suitable for creating lightweight, strong components for vehicles and aircraft. Aluminum specialist Eck Industries has signed a licence for the commercialization of a cerium-aluminum (Ce-Al) alloy co-developed by the Department of Energy’s Oak Ridge National Laboratory. The alloy is reportedly suitable for creating lightweight, strong components for vehicles and aircraft. The Ce-Al alloy is also corrosion-resistant and in tests is stable at 500°C. 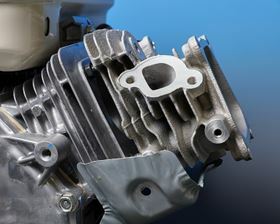 Withstanding higher temperatures means that engines made using the alloy can run hotter with more complete fuel combustion while being lighter in weight, which advances fuel efficiency. Casting with the alloy can be accomplished using standard aluminum foundry practices and without a protective atmosphere. US-based alloy steel materials producer QuesTek Innovations LLC has won the US Small Business Administration (SBA) 2016 Tibbetts Award. A game-changer for ultra-lightweight structures and medical implants?